Arunma Oteh the immediate past World Bank treasurer has been appointed as a non-executive director of Ecobank Transnational Incorporated (ETI), the parent company of the Ecobank Group. The banking group notified the Nigerian Stock Exchange (NSE) of the development in a statement on Friday. As a non-executive director, Oteh and other non-executive directors will be responsible for determining appropriate levels of remuneration of executive directors, and have a prime role in appointing, and where necessary removing, executive directors and in succession planning, among other functions. 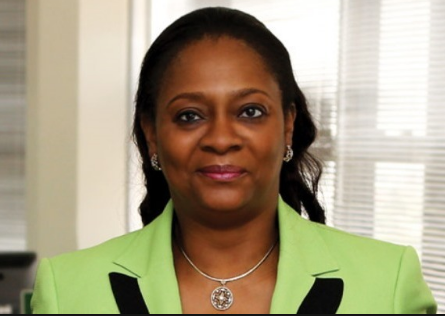 Oteh who was treasurer of the World Bank from 2015 to 2018 led a team that managed the World Bank’s $200 billion debt portfolio as well as an asset portfolio of $200 billion for the World Bank and 65 central banks and other public sector clients. She recently joined Oxford University as an Academic Scholar at St. Antony’s College and an Executive-in-Residence at SAID Business School, with her research areas of focus named as capital markets, development and financial technology. Her career in finance started at Centre Point Investments Limited, Nigeria in 1985. During her stellar 33-year career, Oteh also served on several boards, notably, the International Organization of Securities Commissions (2010 to 2015), which regulates 95 percent of the world’s securities markets and the pioneer Board of the International Financing Facility for Immunization (2006 to 2011). She also served on the Board of the Nigerian Pension Commission, the World Economic Forum Agenda Council on Institutional Governance, and the Africa Advisory Council for World Women’s Banking. In 2011, in recognition of her contribution to the economic development of Nigeria and role in transforming the Nigerian capital markets, she was awarded the Officer of the Order of the Niger (OON) National Honour.